Every Race Week we honor those who come back to race with us year after year. Since our inaugural 5-year class in 2015, we’ve given custom Streaker Shot Glasses to each Streaker, then in 2018 launched our Streaker Studio inside Expo, plus gave each Streaker a complimentary tasting of Kentucky Bourbon inside our Expo’s Bourbon Lounge. 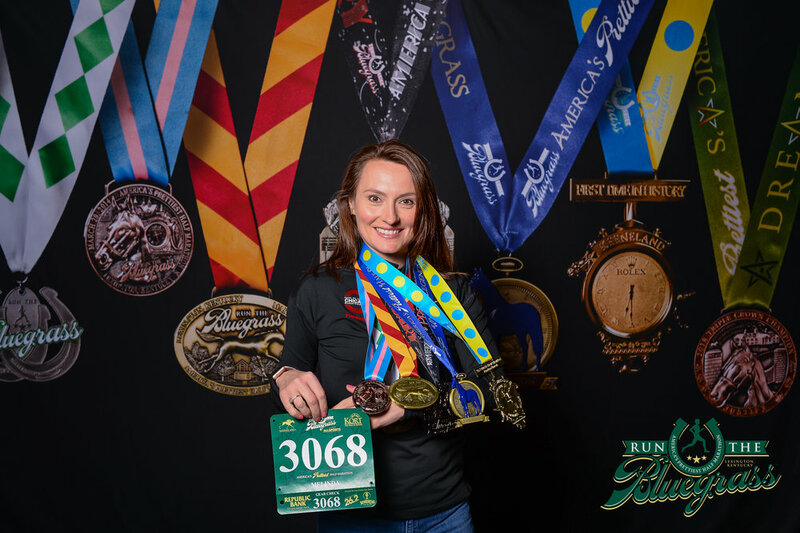 We also have a dedicated Streaker Studio inside Expo, one of the most popular photo opportunities throughout the whole week, showcasing you in front of all of our famed Finisher Medals from the years. See our entire list of 9, 8, 7, 6 and 5 Year Streakers, here! *Streakers are those who ran our Half, 7-Miler or Yearling in consecutive years.